This website is published by Zest Dementia Care Australia Pty Ltd trading as ZEST Dementia Care (“Publisher”) and “Zest Dementia & Aged Care” (Publisher). The goods advertised in this website may not be on show or immediately available , but may be ordered from our suppliers. The Publisher offers each item of the goods described in this website (“Offer Goods”) for sale until they are removed from publication from this website (“Offer Period”), at not greater than the price specified in this website for that item (“Offer Price”), subject to these terms and conditions. International orders are unable to be accepted. If the Publisher has sold out of, or is temporarily out of stock of any item of Offer Goods, during the Offer Period, then the Publisher will offer each person who requests supply of that item during the Offer Period, a rain check, so that the person may purchase, from that Publisher, either, later a product the same as that item at not greater than the Offer Price, or an alternative product with similar features with equivalent or a higher value, at a price for that item not greater than an amount equivalent to the Offer Price. Each trademark is the property of its respective owner. 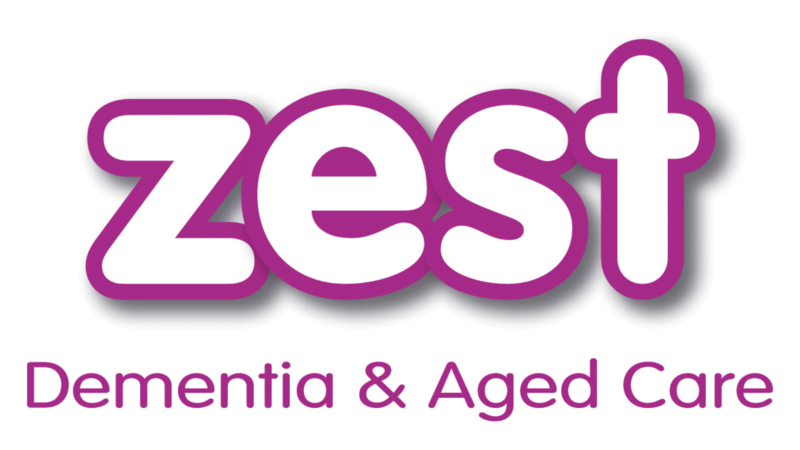 ZEST Dementia Care and Zest Dementia & Aged the ZEST Dementia Care and Zest Dementia & Aged Care logos have registered trademarks pending. The copyright material contained in this website and all intellectual property rights, including graphics, logos, trademarks, design, text, icons, the arrangement of them, sound recordings and all software relating to this website, are owned by the Publisher, or in some cases, a related body corporate or third party. All trademarks shown on any product is the property of their respective owners. These intellectual property rights are protected by Australian and international laws. You may view this website and its contents for personal and non commercial use only and subject to the Copyright Act 1968 (Cth) and similar legislation, you may not in any form or by any means reproduce, modify, distribute, store, transmit, publish or display within another website or create derivative works from any part of this website or commercialise any information obtained from any part of this website without the prior written permission of the owner of the copyright in that material. Nothing contained in this website is to be interpreted as a recommendation to use any information on this website in a manner which infringes the intellectual property rights of any person, company or entity. This website makes no representations or warranties that your use of the information on this website will not infringe such intellectual property rights. This website may contain links to other websites which are owned or operated by third parties. These links are provided for convenience only and may not remain current or maintained. The Publisher should not be construed as endorsing, approving, recommending or giving preference to these third parties or their websites, or of any information, products or services referred to on those third party websites unless expressly stated. You link to these websites at your own risk and should make your own enquiries as to the privacy policies of these third parties. The Publisher is not responsible for information on, or the privacy practices of, such websites. The Publisher reserves the right to prevent third parties from linking to this website. The Publisher may promote, advertise or sponsor functions, events, offers, competitions or other activities which may be conducted online or offline and which may be conducted by Franchisees or third parties. These activities may be subject to separate terms and conditions. You participate in any such activities entirely at your own risk. The Publisher does not accept any responsibility in connection with your participation in activities conducted by any Franchisee or third party. The Publisher nor any third party will be liable for any errors in content, or for any actions you take in reliance on them. You nor any other person may hold the Publisher liable for any delays, inaccuracies, errors or omissions in respect of such content, the transmission or delivery of such content or any loss or damage arising from any of them. Given the nature of the Internet, the Publisher cannot guarantee that any data transmissions are totally secure. Whilst the Publisher takes precautions to protect information, the Publisher does not warrant and cannot ensure the security of any information you transmit via the website. You therefore transmit to this website at your own risk. However, once the Publisher receives your transmission, the Publisher will take reasonable steps to preserve its security. If you become aware of any problems with the security of the data, please email [email protected] immediately. Given the nature of the Internet, the Publisher cannot guarantee that this website is free from viruses, fault or other conditions which could damage or interfere with your computer systems and the Publisher does not warrant that your access to this website will be uninterrupted, error free or that any defects will be corrected. You assume the risk of any damage to your property as a result of using this website and to the maximum extent permitted by law; the Publisher disclaims all liability for any errors, omissions and faults. You must take your own precautions to ensure that the process which you use for accessing this website does not expose you to the risk of viruses, malicious computer code or other forms of interference which may damage your own computer system. For the avoidance of doubt, the Publisher does not accept responsibility for any interference or damage to your own computer system which arises in connection with your use of this website or any linked website. The Publisher appreciates any suggestions (“unsolicited ideas”) you may have regarding ways in which this website may be improved or materials which may be added to this website. Any unsolicited ideas that you submit will not be regarded as confidential and will become the property of the Publisher. The Publisher may use, reproduce, disclose, publish, modify, adapt and transmit them to others, without restriction or any obligation to compensate you. The Publisher makes no representations or warranties of any kind, express or implied, in relation to any information, content, materials or products included in this website or to its availability, functionality or performance, except as otherwise provided under any applicable law. The Publisher does not accept responsibility for any loss or damage, howsoever caused (including through negligence or matters outside their control), which you may directly or indirectly suffer in connection with your use of this website or any linked website, nor do they accept any responsibility for any such loss arising out of your use of, or reliance on, information contained on, or accessed through, this website. To the maximum extent permitted by law, the Publisher disclaims any such representations or warranties as to the completeness, accuracy, merchantability or fitness for purpose of this website or the information that it contains. The use of the information on this website is at your own risk. To the extent permitted by law, the Publisher excludes all liability in respect of any injury, loss or damage arising out of, or related to, the use, or inability to use, the information on this website or provided through this website through email. This limitation of liability includes, but is not limited to, compensatory, direct, indirect or consequential damages, interruption of business, loss of data, income or profit, loss of, or damage to property, and third party claims. If any liability is not able to be excluded by law, the Publisher limits its liability to the re-supply of the relevant information or services. You agree to indemnify the Publisher and other persons involved in the creation of this website from all damages, losses, penalties, fines, expenses and costs (including legal costs) which arise out of or relate to your use of this website, any information that you provide via this website or any damage that you may cause to this website. This indemnification includes, without limitation, liability relating to copyright infringement, defamation, invasion of privacy and trade mark infringement. These Terms are governed by and construed in accordance with the laws of Queensland, Australia and you irrevocably and unconditionally submit to the non-exclusive jurisdiction of the courts of Queensland, Australia. If any provision of these Terms is found to be invalid or unenforceable by a court of law, such invalidity or unenforceability will not affect the remainder of these Terms, which will continue in full force and effect. If you access this website in a jurisdiction other than Queensland, Australia, you are responsible for compliance with the laws of that jurisdiction, to the extent that they apply. The Publisher makes no representations that the content of this website complies with the laws of any country outside Australia. The Publisher may, from time to time, add or remove information, products or services from this website without notice. These Terms may be amended at any time without notice and your access to this website may be terminated at any time without notice. Your continued use of this website following such notification will represent an agreement by you to be bound by the Terms as amended. Where your access to this website is terminated, all disclaimers and limitations of liability set out in these Terms will survive. Reference to “website” means the whole or any part of the web pages located on this web page (including but not limited to any elements of design, underlying code, text, sounds, graphics, animated elements or any other content). We respect your privacy and are committed to handling your personal information in accordance with the National Privacy Principles set out in the Privacy Act 1988 (Cth). We may collect your personal information directly from you or when you deal with us in person, by telephone, letter, email or visit our website. The information we collect may include your name, address, telephone number and email address. If you choose not to provide us with your personal information, we may not be able to deal with you or provide you with the information you may require. 10. To better understand your preferences. Our third party service providers are organisations that include those that may assist us with research, security, professional advisory, marketing services or technology services. Where we engage third party service providers to perform services for us those third parties may be required to handle your personal information. Under these circumstances those third parties must safeguard this information and must only use it for the purposes for which it was supplied, although we are not responsible for ensuring this. We will take reasonable steps to ensure that the information we hold about you is accurate, complete and up-to-date and ask you to let us know if you believe the information to be otherwise. You may request access to your personal information, provided your request is in writing and you provide us with proof of your identity. Your request will be responded to in a reasonable time and you may be asked to pay any reasonable costs incurred by us in responding to your request. The website may contain links to websites which are owned or operated by other parties. You should make your own enquiries as to the privacy policies of these parties. We are not responsible for information on, or the privacy practices of, such websites. You consent to and authorise us to include your personal information in a database compiled by us, a franchisee, or any of our related entities, or a third party service provider, for use in direct marketing by us. If you do not wish to receive marketing material from us, you can opt-out by contacting the Privacy Officer below. All emails, SMS and newsletters from this website allow you to opt-out of further mailings by clicking on the link “unsubscribe”. If you are concerned with the way your personal information has been handled, please contact or write to us, or alternatively, contact the Privacy Office as set out below. If your personal information has not been handled in an appropriate way, we will take steps to remedy your concerns in a reasonable time.